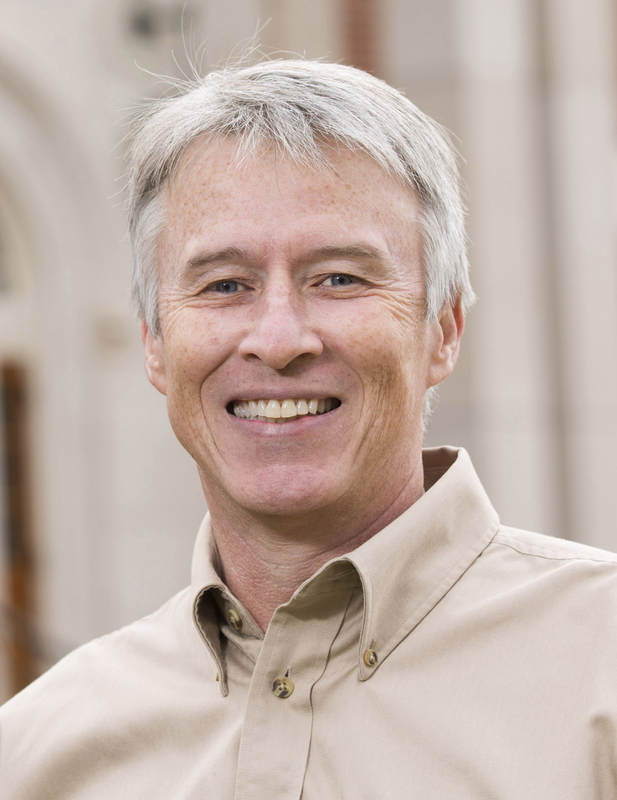 • Gary T. Green is assistant dean of academic affairs and professor of natural resources, recreation and tourism in the Warnell School of Forestry and Natural Resources. His “Natural Resource Conservation Issues” course is designed to help students understand past, present and future issues in natural resource management and conservation. Green engages students in the community through hands-on exercises. They take photos of issues they encounter and discuss them in class, and they have small-group learning assignments in which they create, administer and collect data with a survey on local natural resource conservation issues. He also allows them to drive classroom discussion based on their observations and interests. Critical thinking is fostered through a “snowball fight” exercise where students write their perspectives of natural resource issues on paper, then crumple the paper into a ball and throw to another student who reads the statement and begins the discussion. • John J. Maurer, professor of population health in the College of Veterinary Medicine, has taught one of the most sought-after FYO courses by first-year students for the last five years. “The Zombie Plague” utilizes popular culture to engage students in scientific discussion of infectious diseases, epidemiology and public health. Students critique representations of contagious, communicable diseases of books and films featuring zombies and vampires and suggest changes to make the stories more factual based on the real case studies of pandemic plagues and zoonotic diseases they learn about in class. The course contains a significant writing component in which they write several short reports or accounts of fictitious zombie incidents from different stakeholder perspectives using correct terminology to describe the responsible biological or chemical agent, method of transmission and symptoms of the victims. The class engages students in an ongoing scholarly debate regarding who is to blame for World War I. Through a Reacting to the Past role-playing game students represent factions of the Japanese Cabinet, making decisions during the years before World War II. Writing assignments, paired with academic readings, focus on critical thinking about insights gained in the July 1914 crisis. Students are introduced to the value of social science research by delving into Owsiak’s research expertise in crisis diplomacy and the causes of war. As a result of his FYO, Owsiak has begun studying how variation in game design might affect student learning outcomes. Simon, a Josiah Meigs Distinguished Teaching Associate Professor of Art History in the Lamar Dodd School of Art, introduces students to the museum’s academic, research and public service missions for the university and the state. Students work in small groups to design a virtual exhibition space including lighting, entrances, wall color and placement of 15 works of art. Each student in the group researches three works, writing several paragraph-long labels for each and contributing to the group’s introductory panel that explains the rationale and ideas behind their choices. The groups present their exhibitions to the class at the end of the semester, and Simon provides feedback on theme and the historical background of art pieces. During the course, students have the opportunity to meet with the art museum’s curators to gain an introduction to the intellectual components of the museum and considerations made when forming a show. Through encouraging questions and vocalizing thoughts, students, no matter their background, are able to think about works of art and how each have meaning both as individual pieces and as part of an exhibit. • Beth D. Tolley is a clinical associate professor of educational theory and practice in the College of Education. Her course “So, You Think You Want to Teach?” is geared toward students interested in learning more about the teaching profession and offers opportunities for inquisition and introspection in deciding on a career in teaching. Students are asked to compare qualities of their past influential teachers with themselves and have conversations not only with her, but also with senior education majors, former teachers and children to determine their motivation to teach, as well as provide a deeper understanding of teaching itself. Tolley’s course stresses the interconnectedness of students’ personal/professional goals and engaging the community around them. At the end of the semester, students produce digital storytelling projects, an introspective documentary of where students are at this point in deciding about a teaching career. This is the fourth annual awards reception recognizing outstanding instructors who have demonstrated innovation in instruction, connection of seminar content to the instructor’s research, and how FYOS program goals are incorporated into the seminar. This year’s recipients have been fully engaged with their students, provided them with a strong connection to the university through their research, and tied their curriculum directly to FYOS program goals.